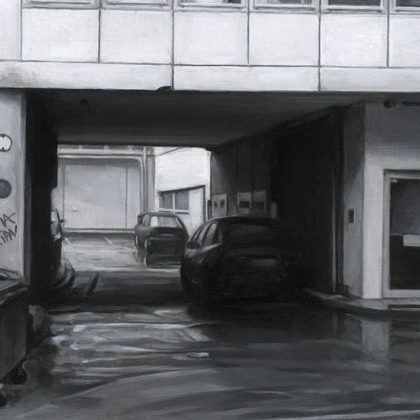 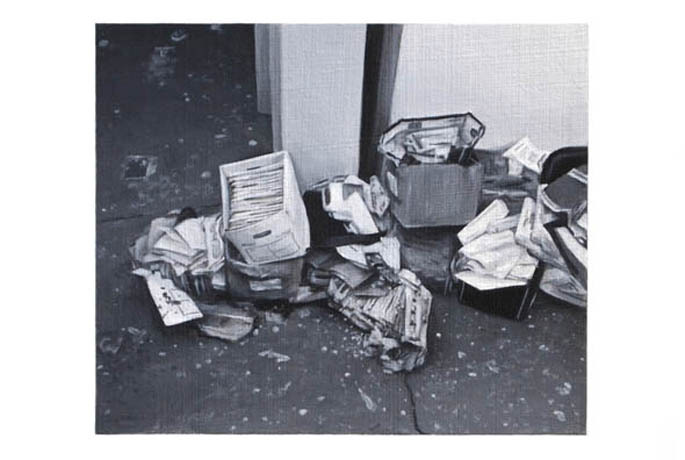 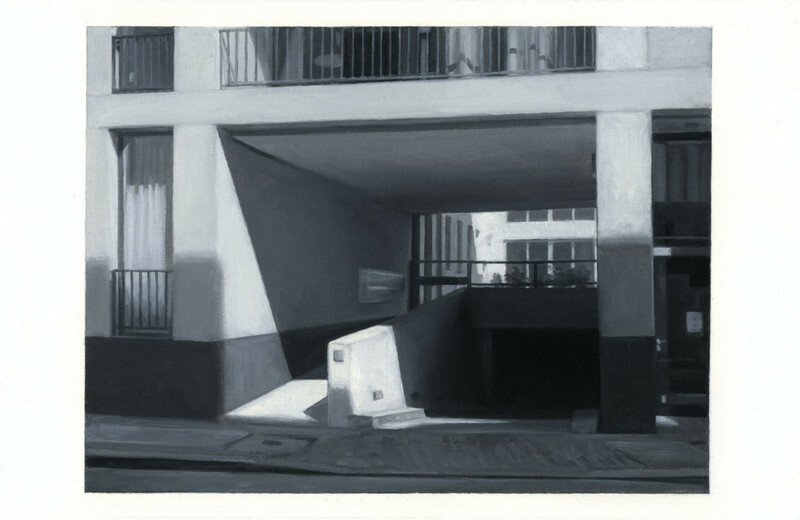 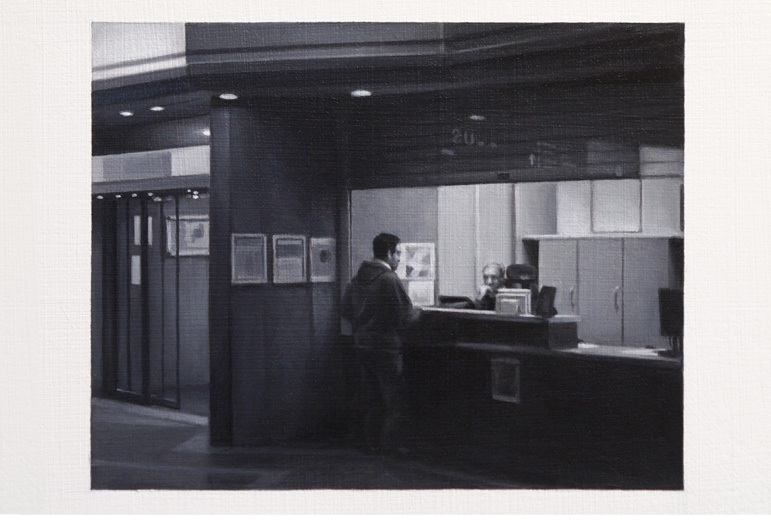 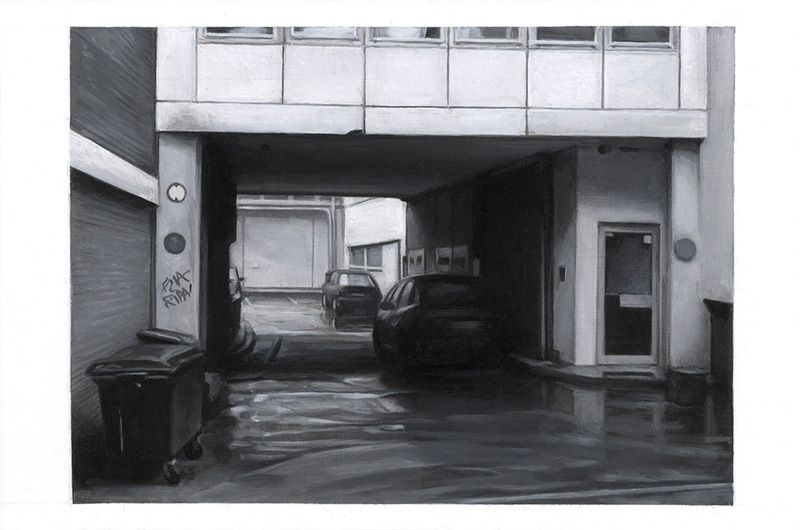 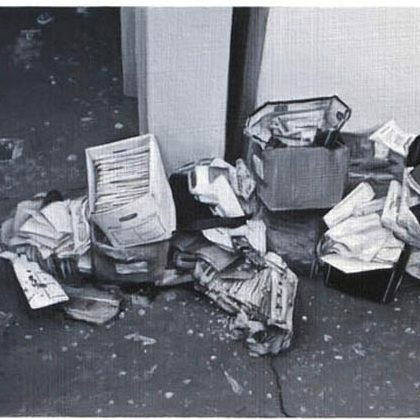 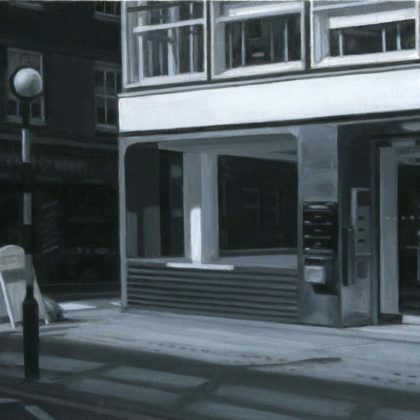 Offices Let, Oil on paper on card 10 x 15 cm. 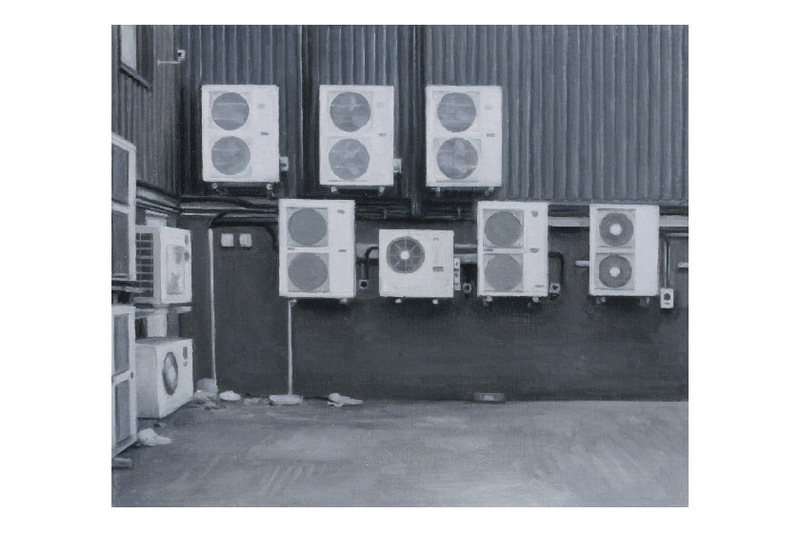 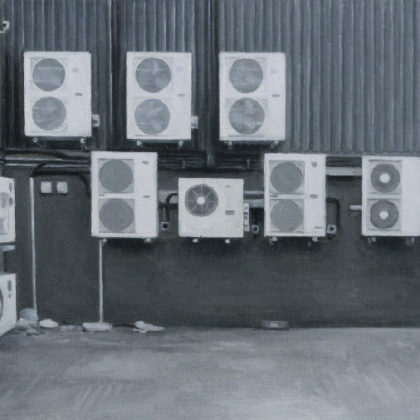 Extractor Fans, Oil on paper on card 10 x 15 cm. 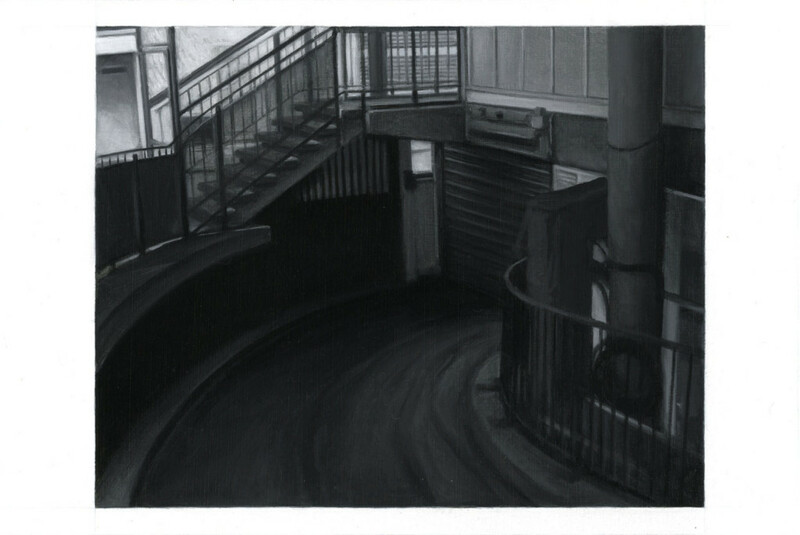 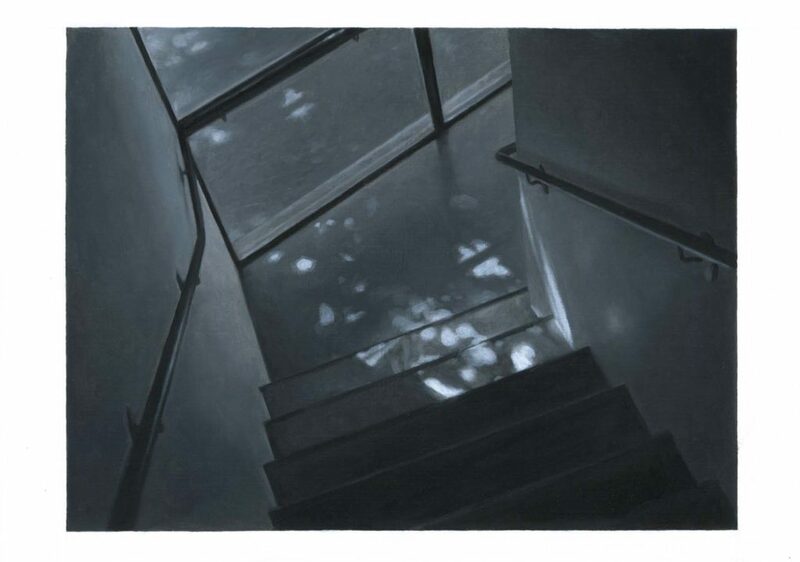 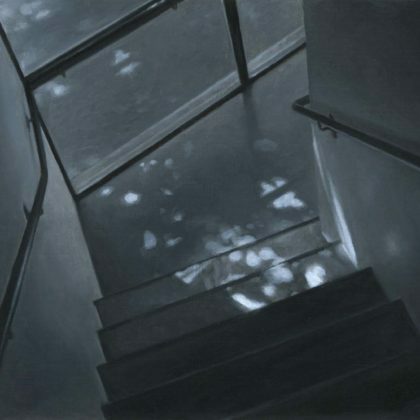 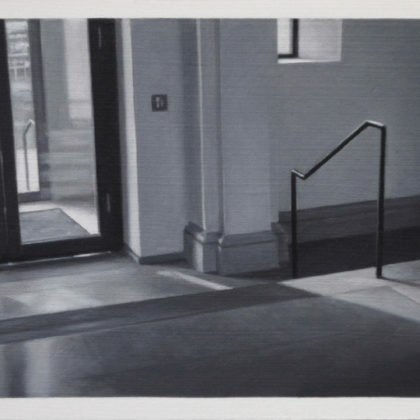 Stairwell, Oil on paper on card 10 x 15 cm. 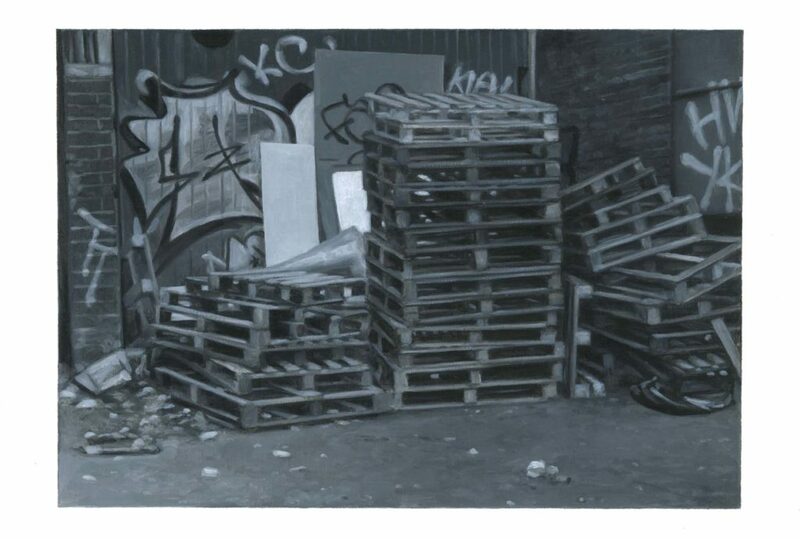 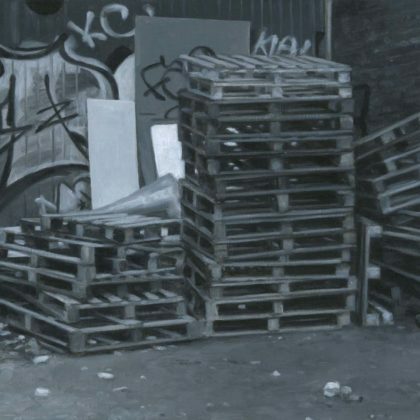 Pallets, Oil on paper on card 10 x 15 cm. 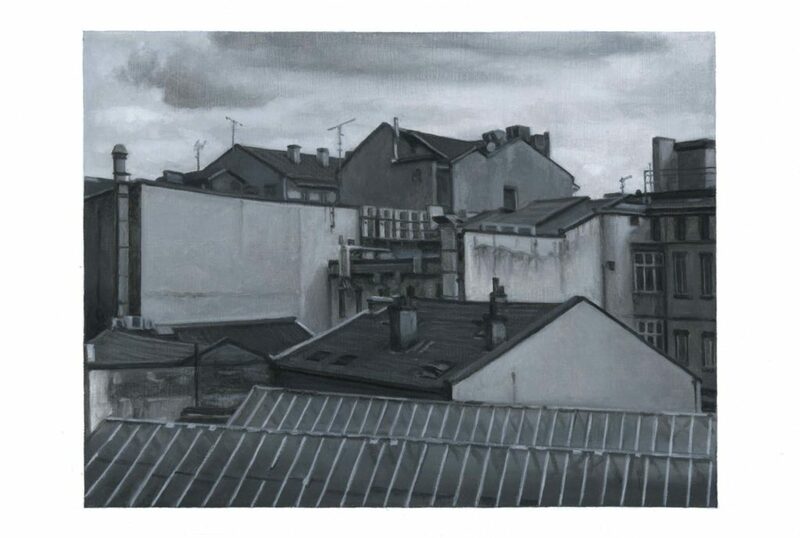 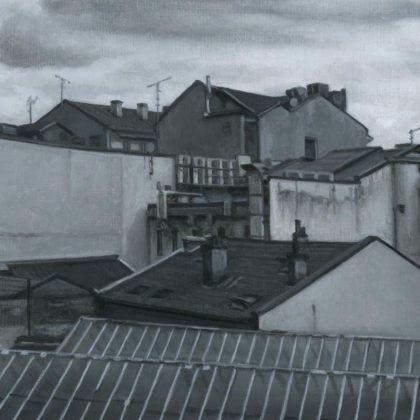 Rooftops, Oil on paper on card 10 x 15 cm. 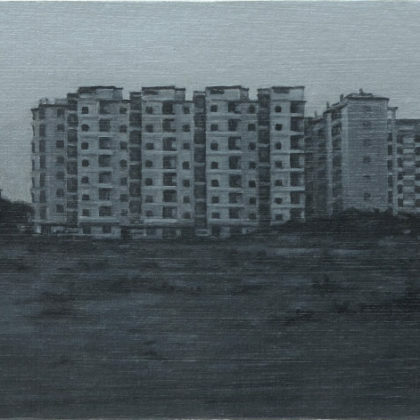 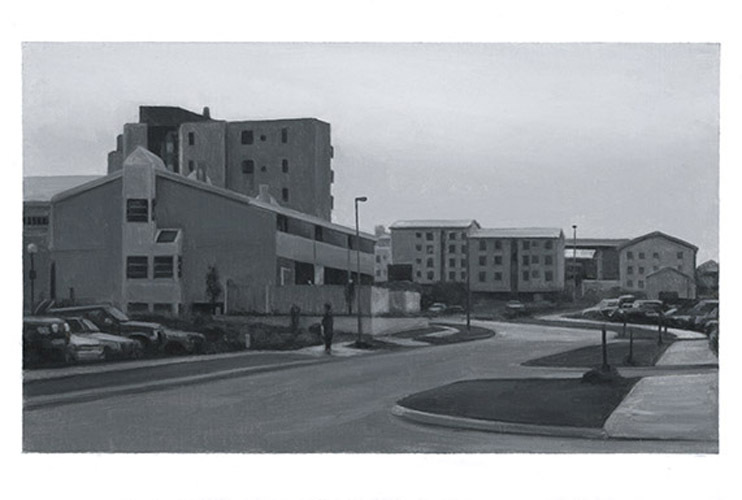 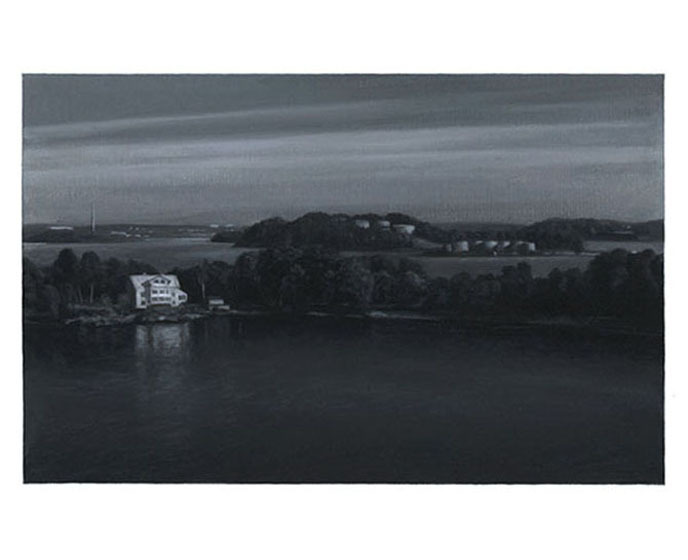 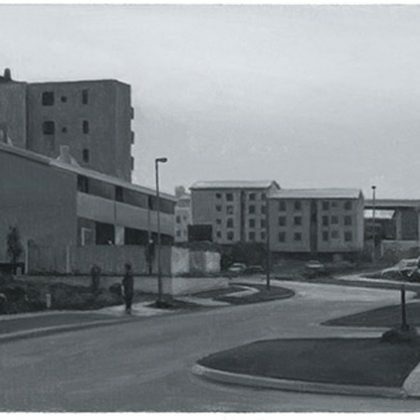 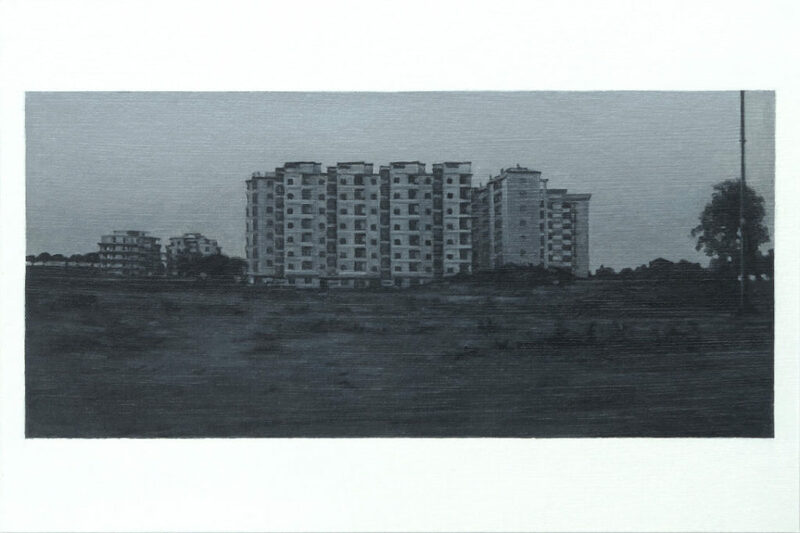 Apartment Block at Dawn, Oil on paper on card 10 x 15 cm. 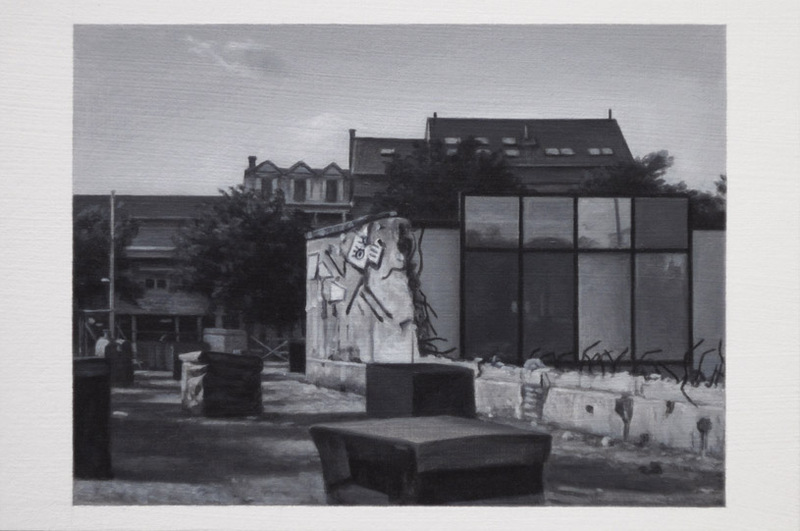 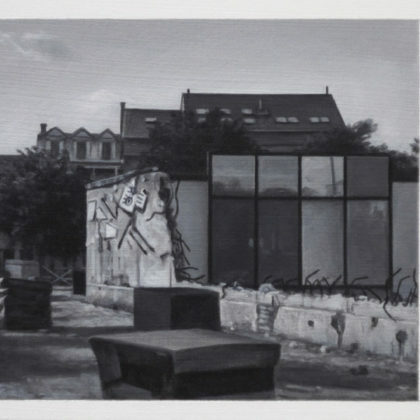 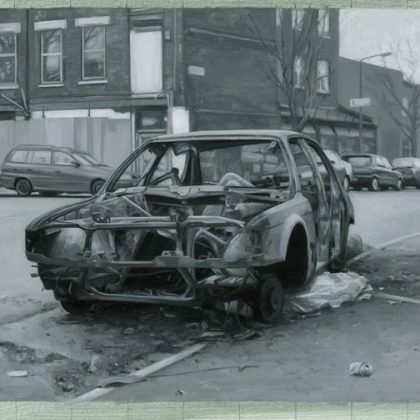 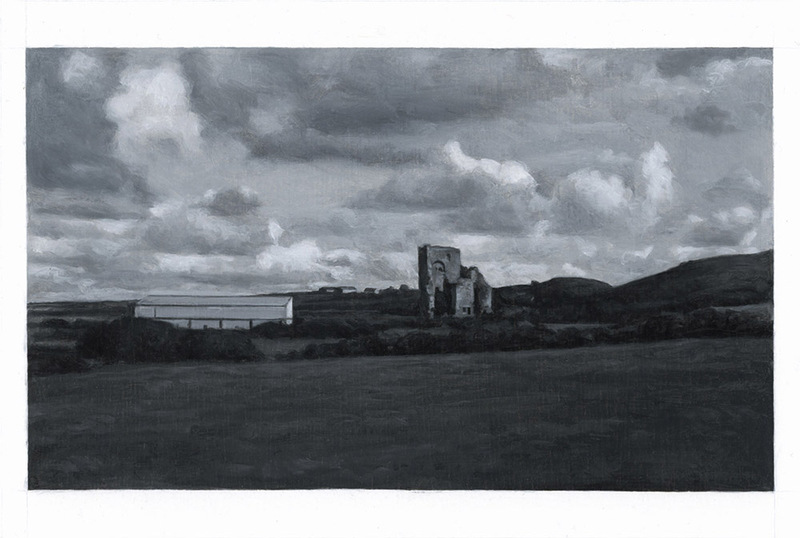 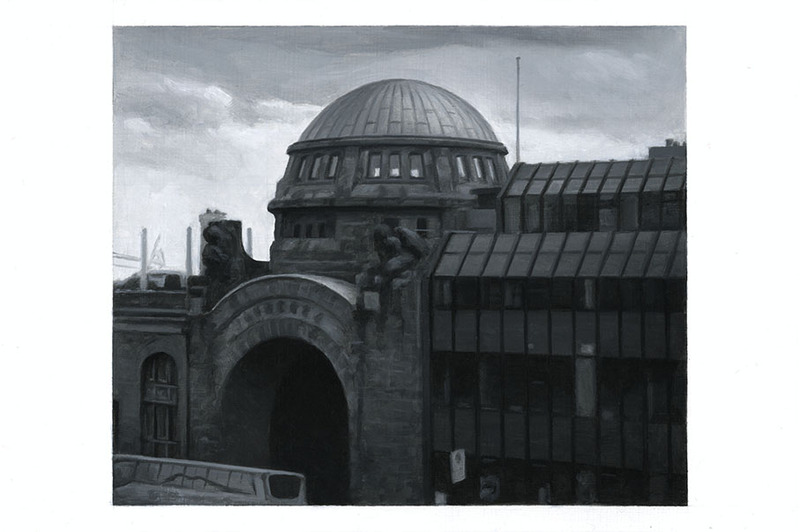 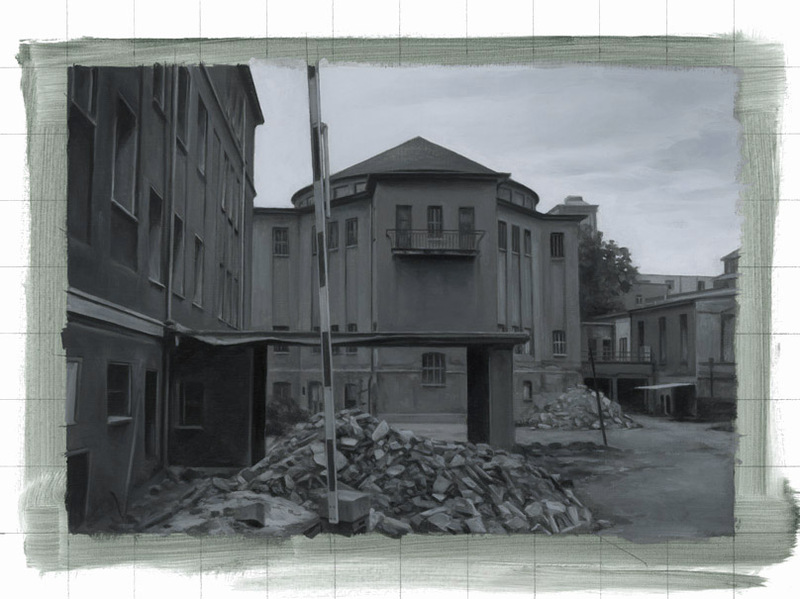 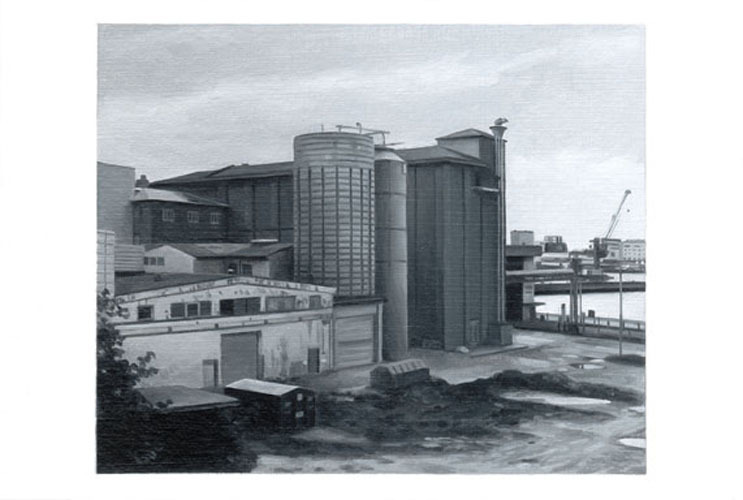 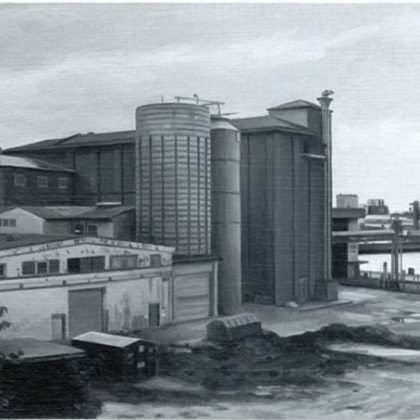 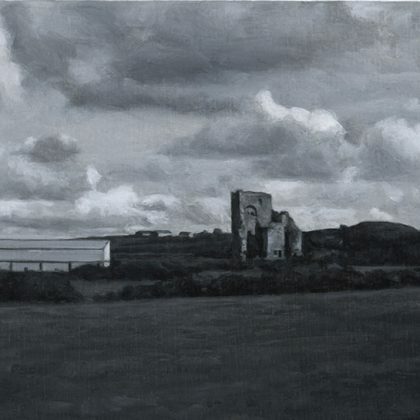 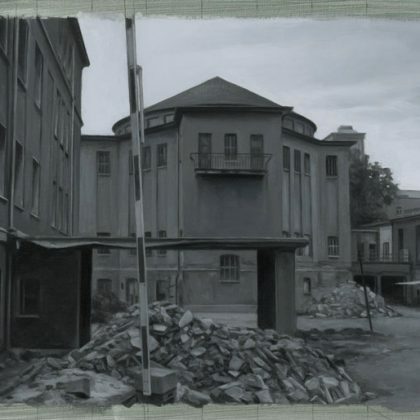 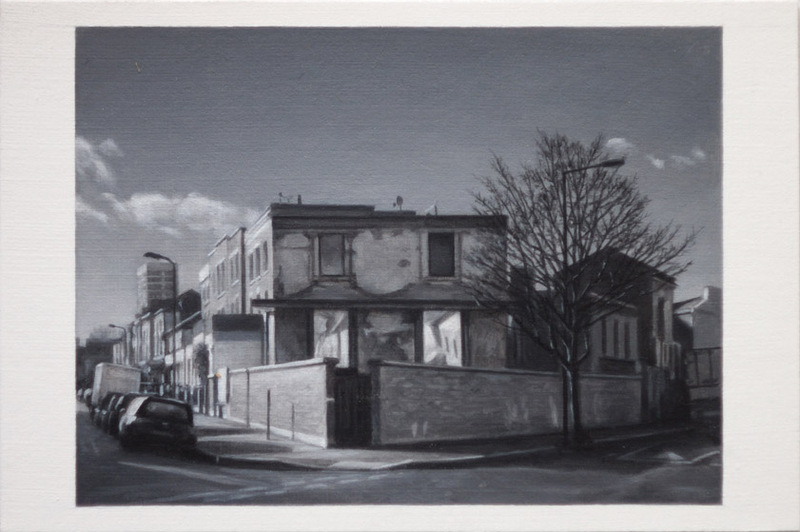 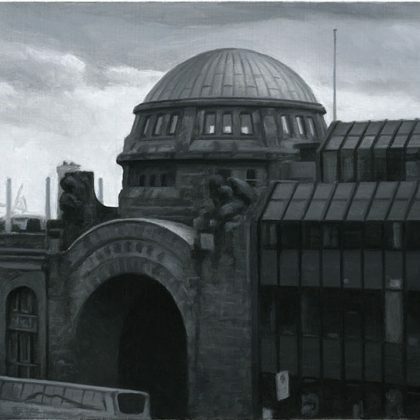 Partially Demolished Building Oil on Card 10 x 15 cm. 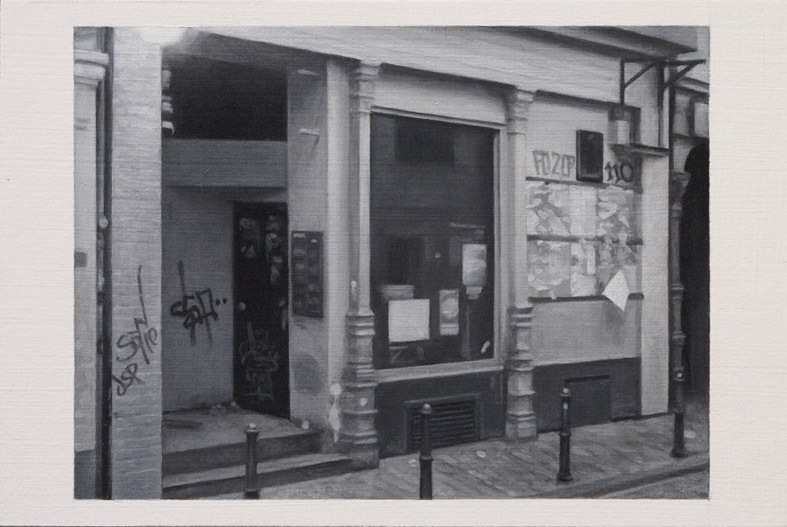 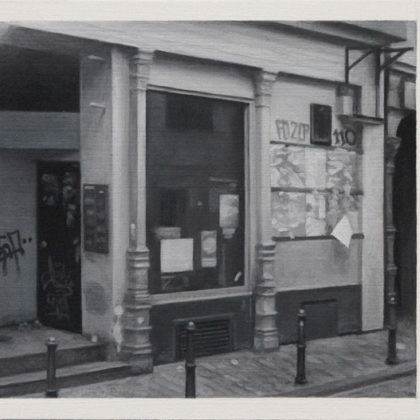 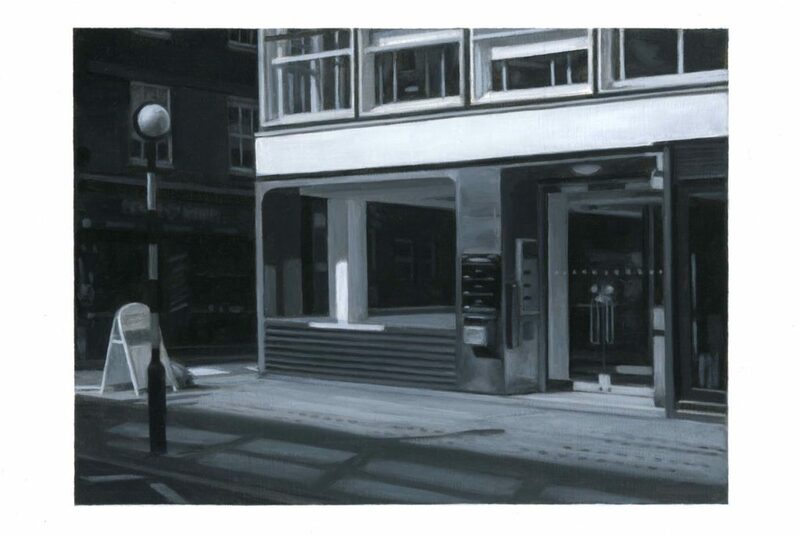 Boarded Shopfront, Oil on Card 10 x 15 cm. 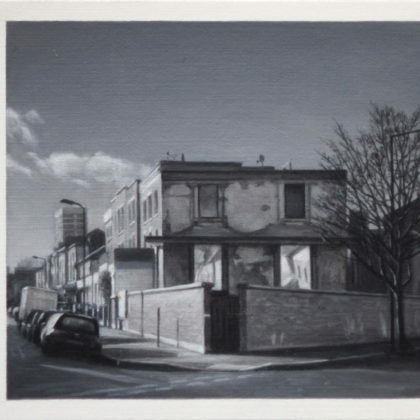 The Moleman's House Oil on Card 10 x 15 cm. 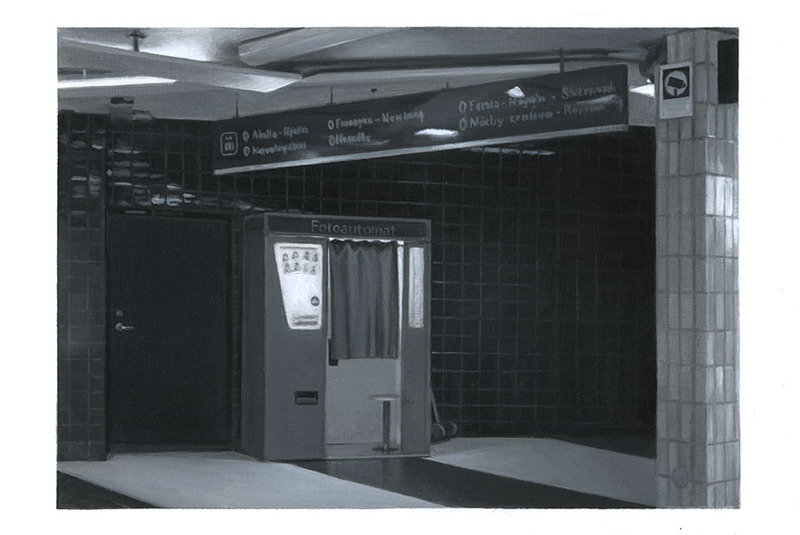 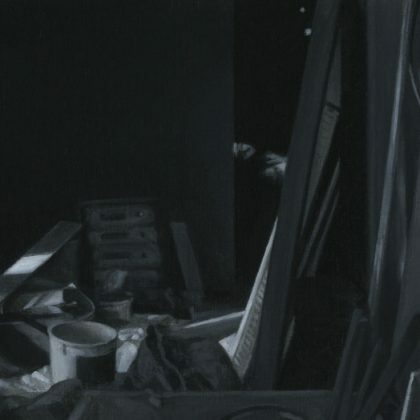 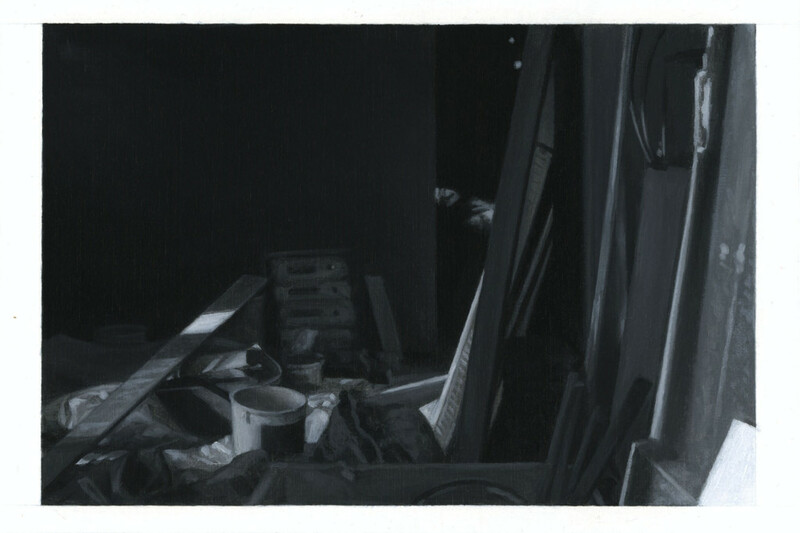 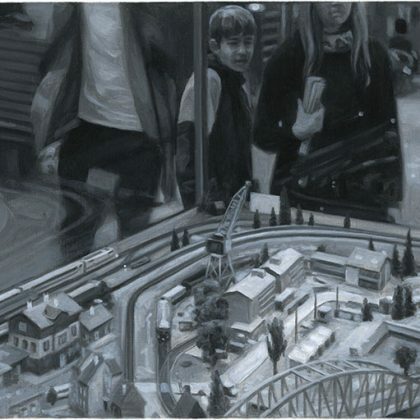 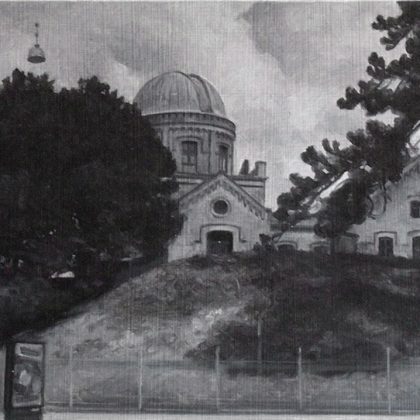 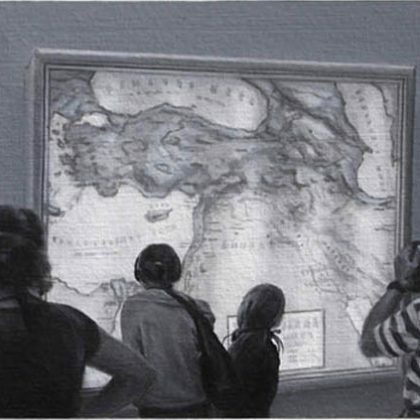 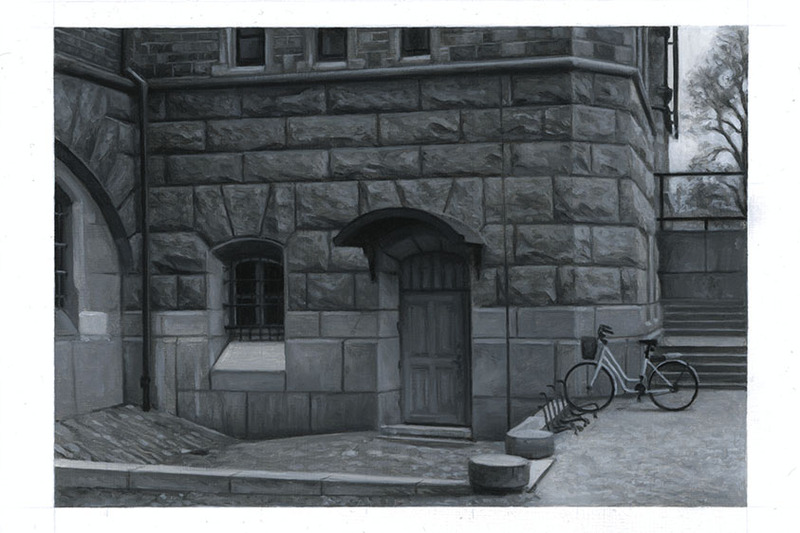 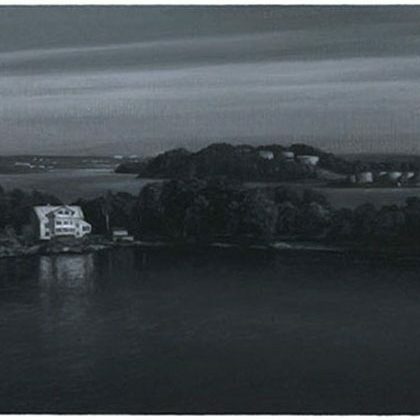 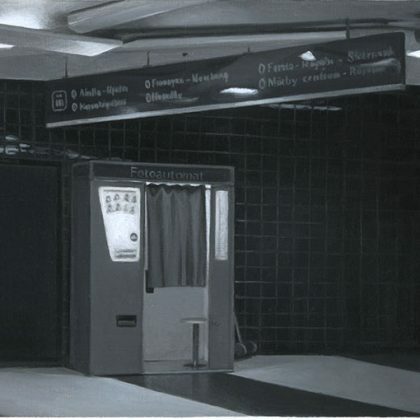 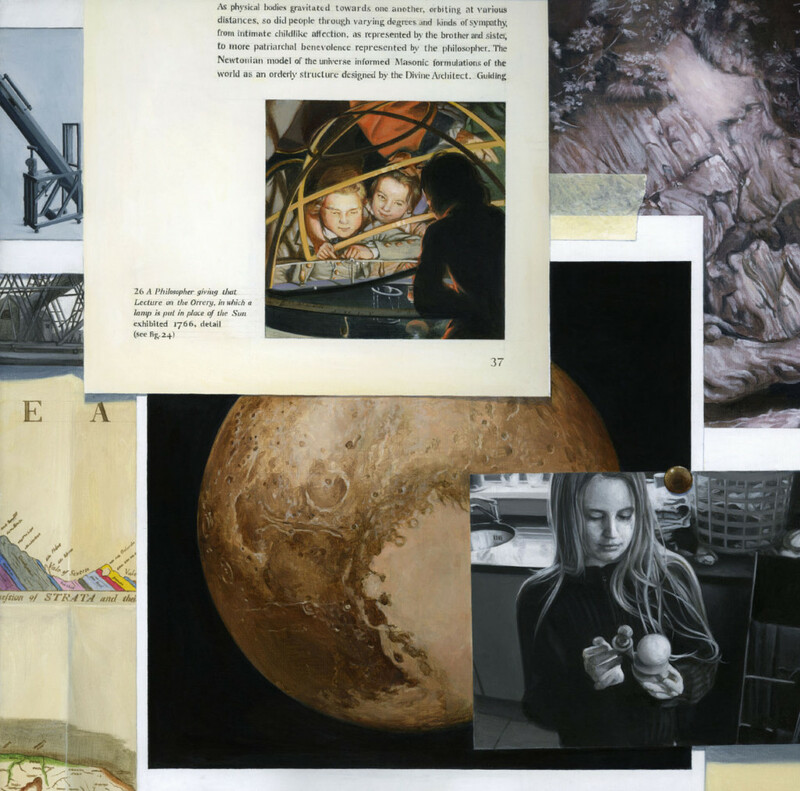 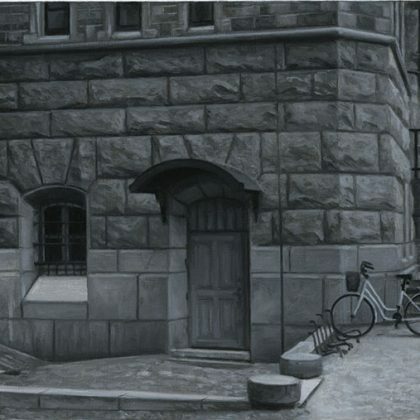 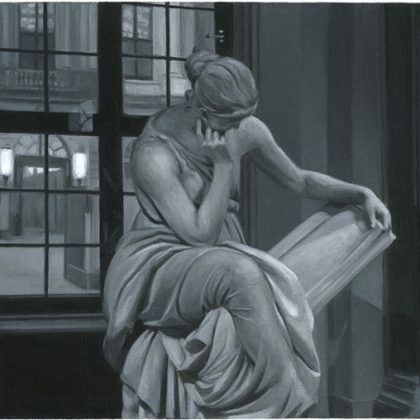 Trompe l'Oeil, Oil on board 30.5 x 30.5 cm. 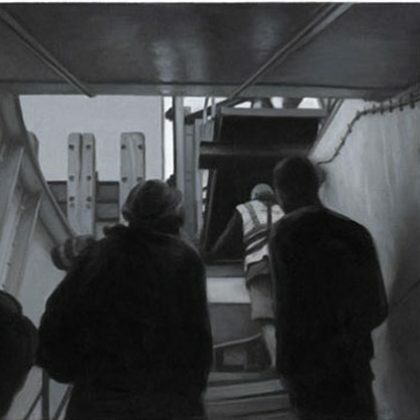 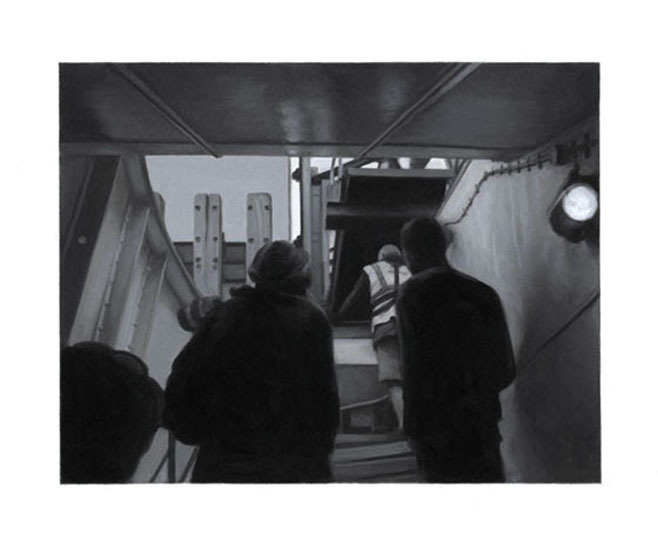 Waiting to Disembark, Oil on paper on card 10 x 15 cm. 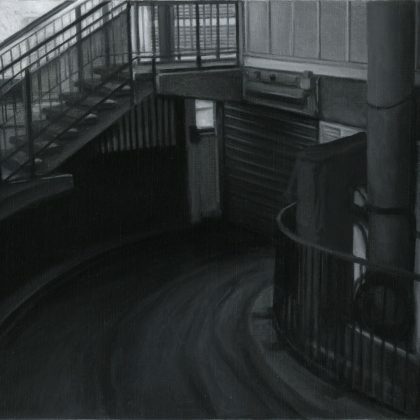 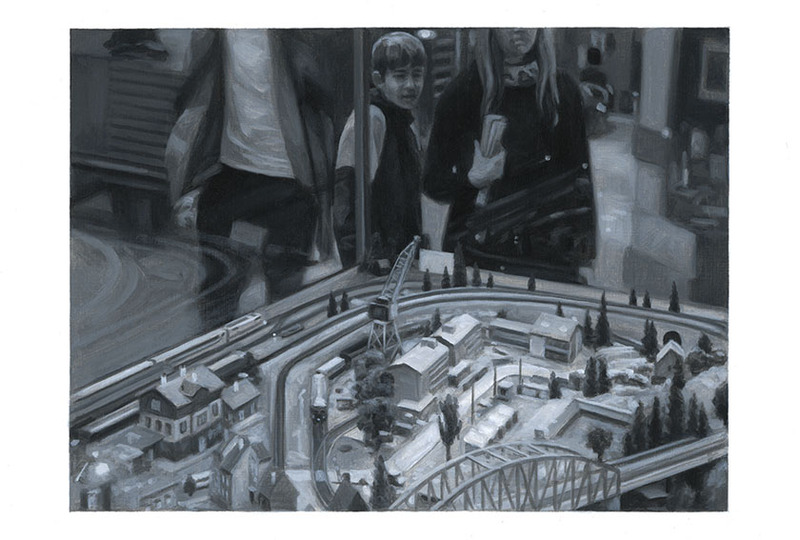 Travel Centre Oil on Card 10 x 15 cm. 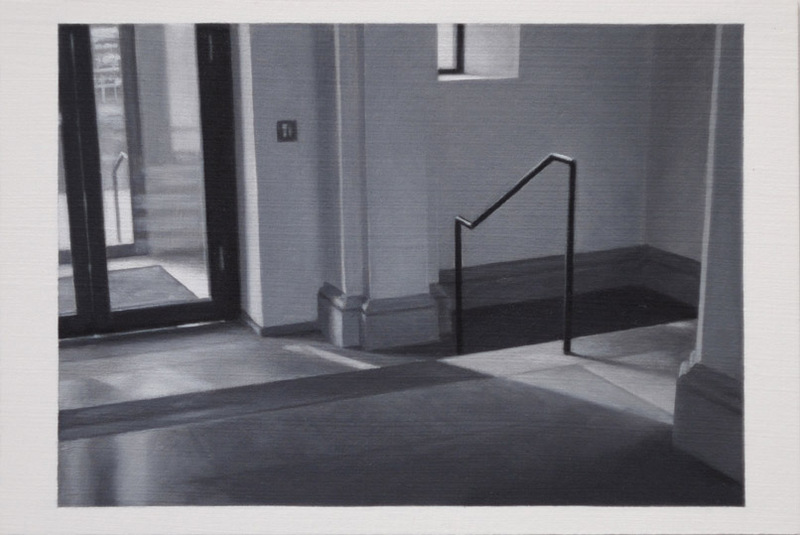 Lobby with Steps and Handrail, Oil on Card 10 x 15 cm. 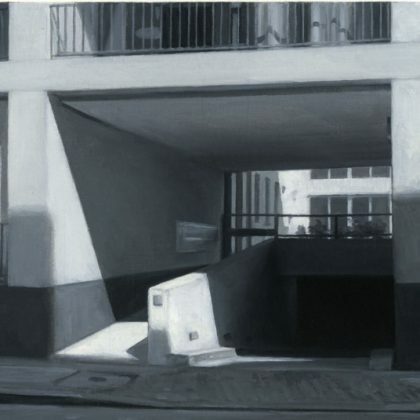 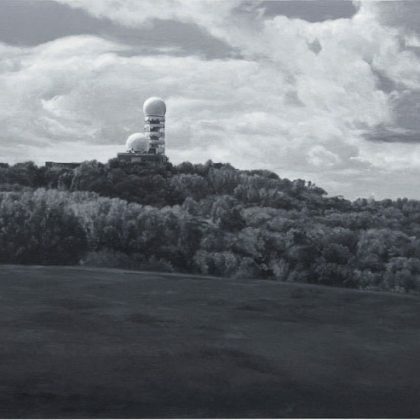 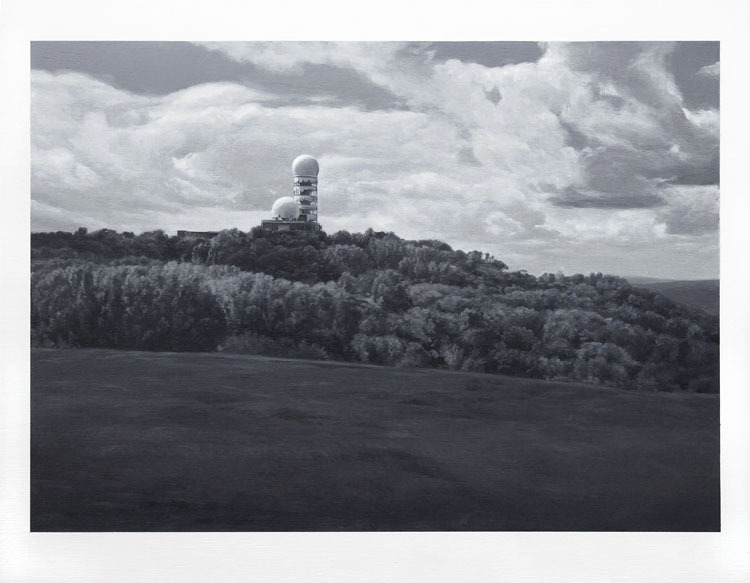 Abandoned Listening Post, Oil on panel 36 x 46 cm. 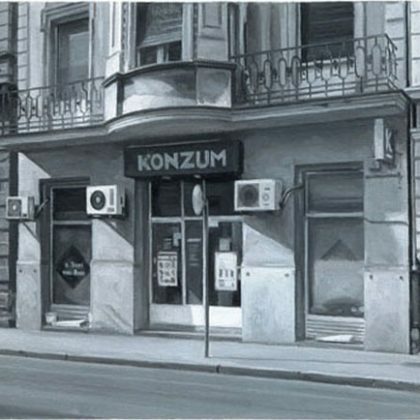 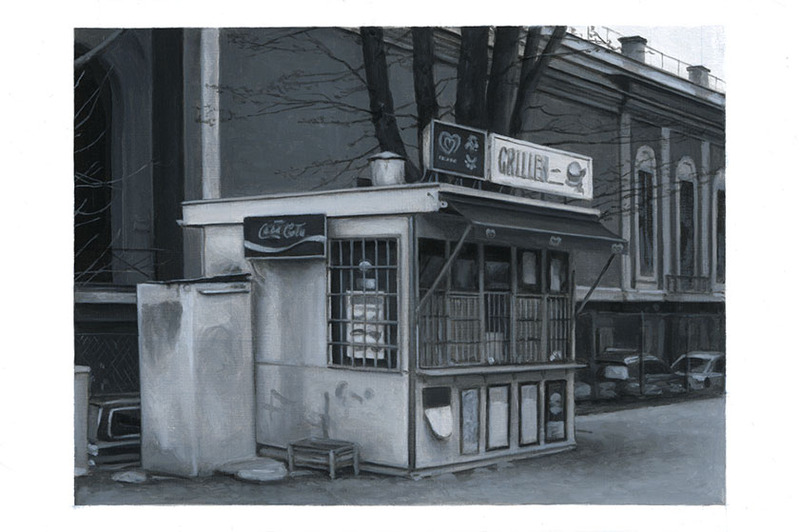 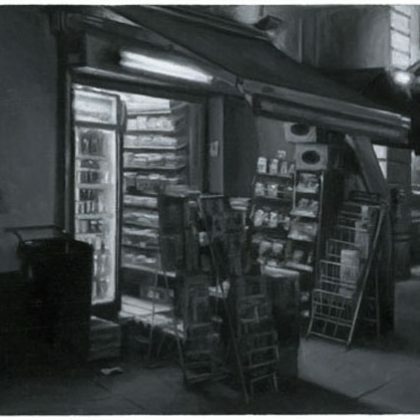 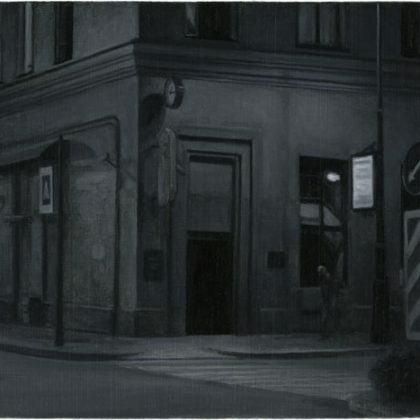 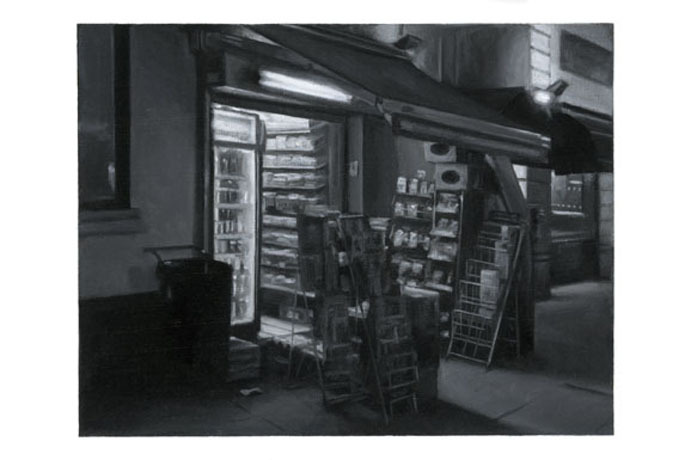 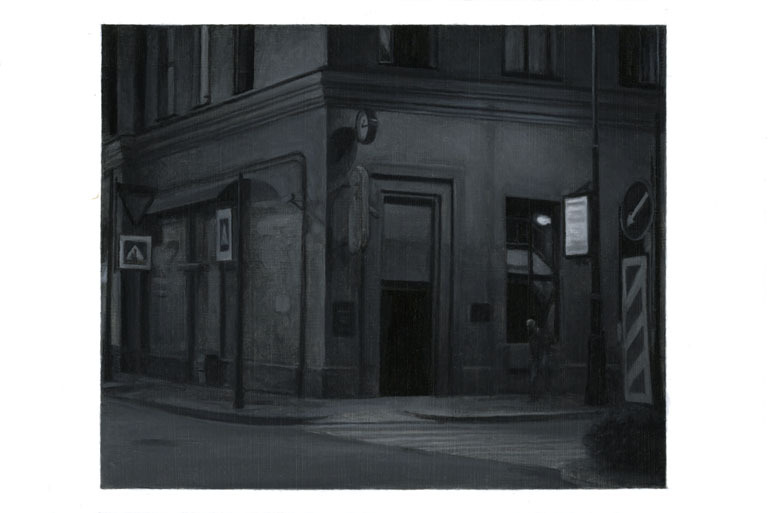 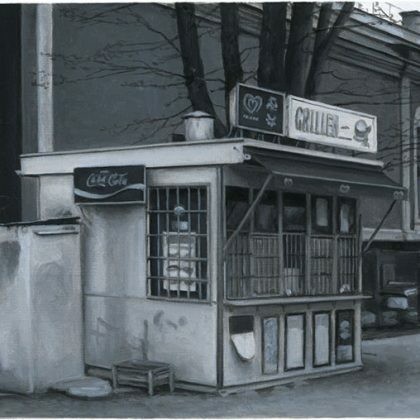 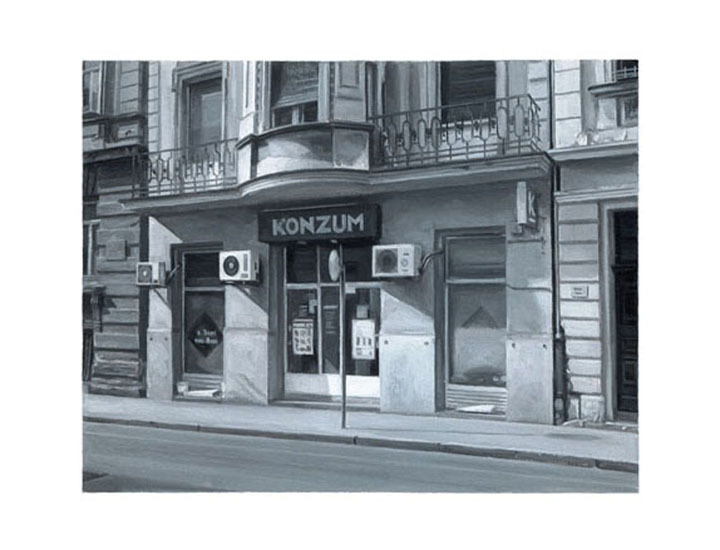 Convenience Store, Oil on paper on card 10 x 15 cm. 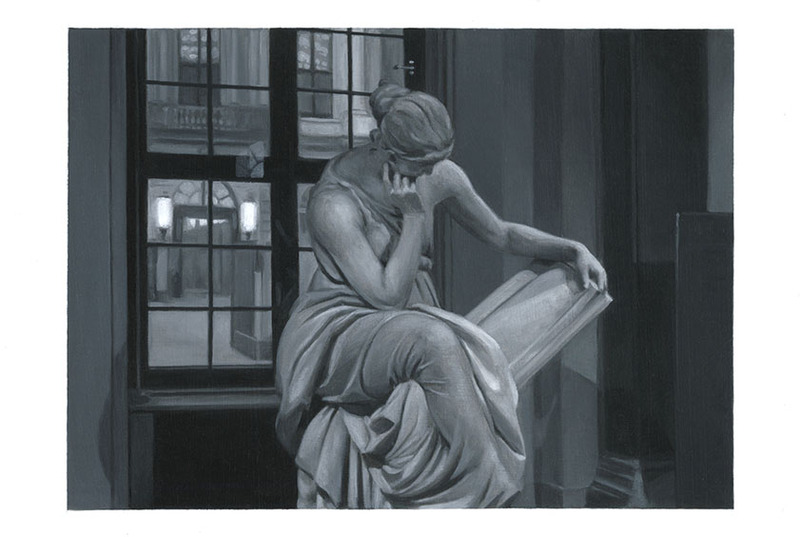 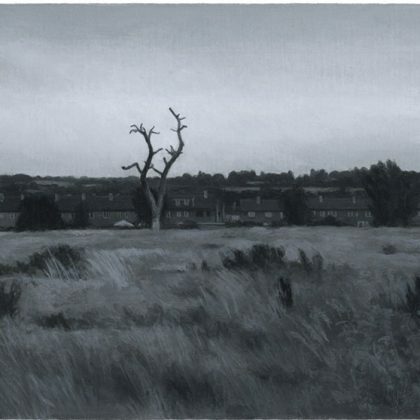 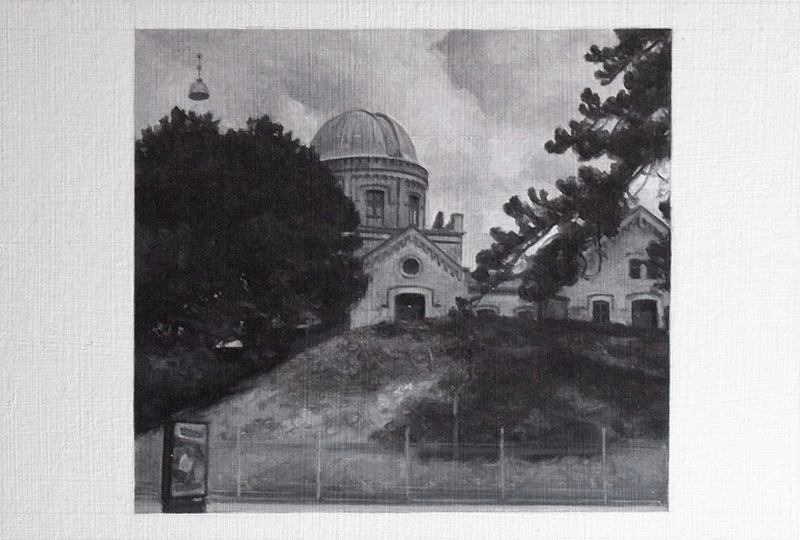 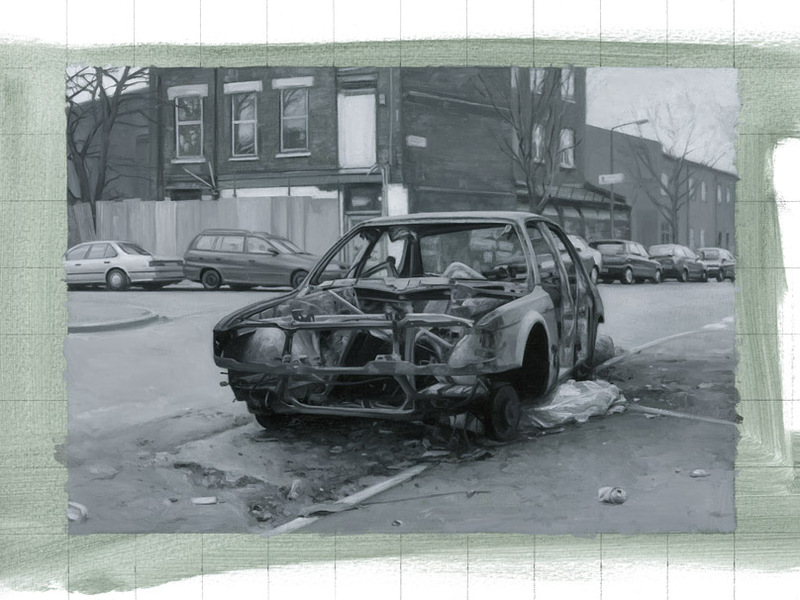 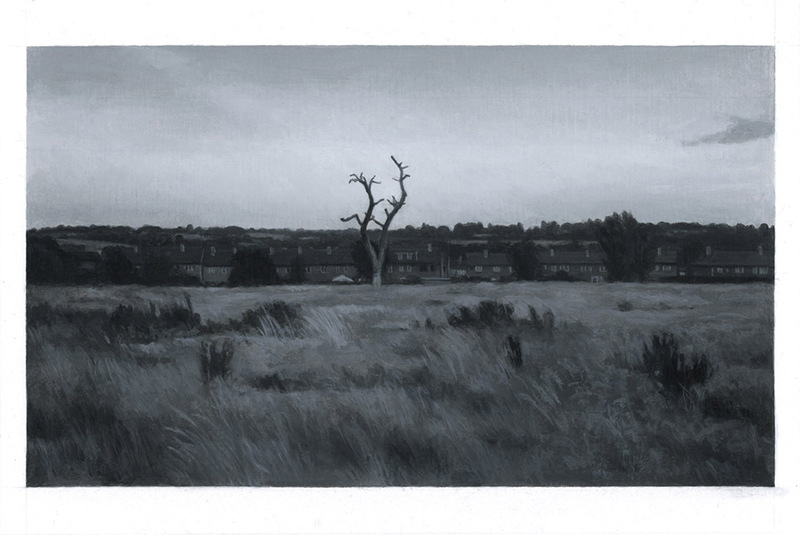 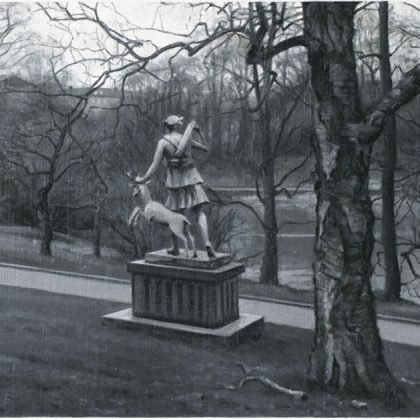 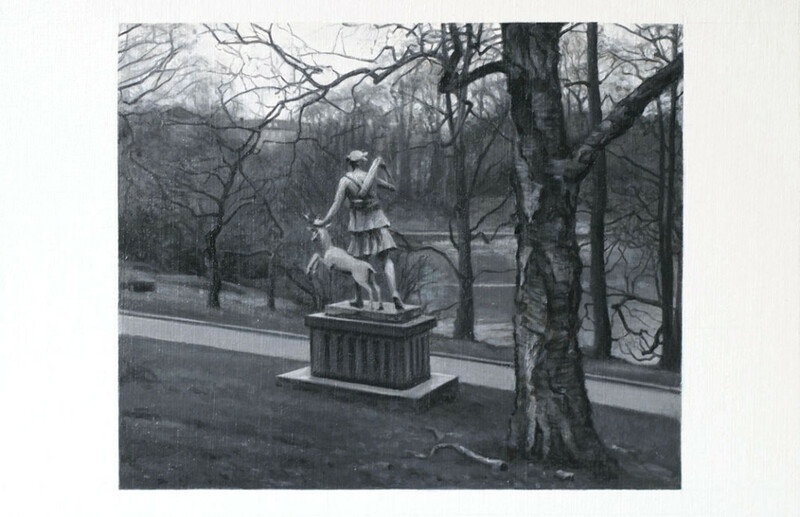 Statue in Parkland, Oil on paper on card 10 x 15 cm. 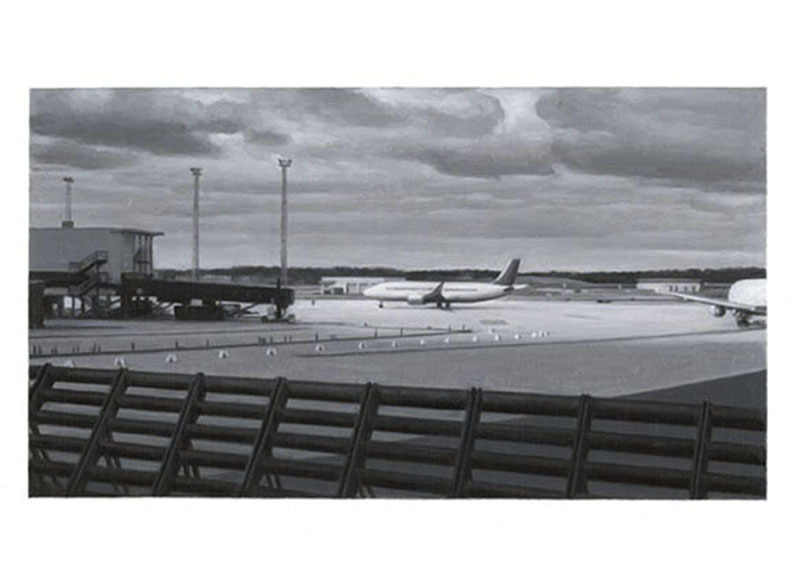 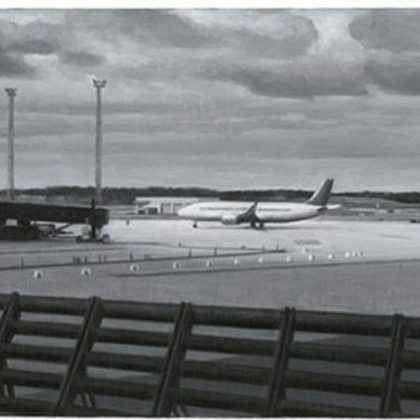 Airport, Oil on paper on card 10 x 15 cm. 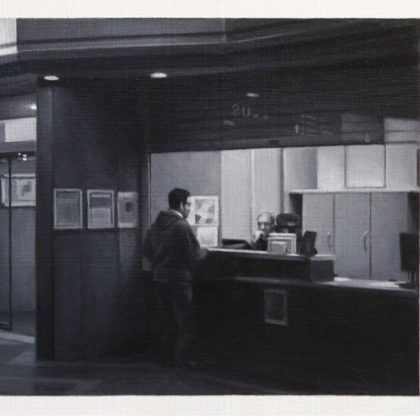 Monday to Saturday 10 – 5 p.m. and by appointment. 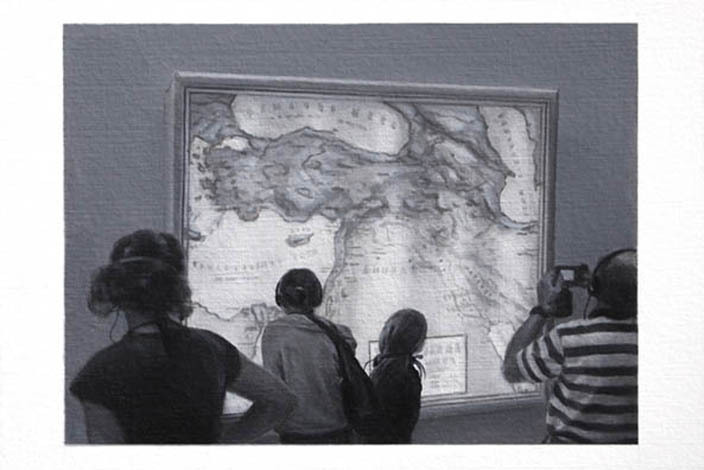 Good Friday 11- 3 p.m.
Easter Monday 11 – 3 p.m.